Let’s cram! 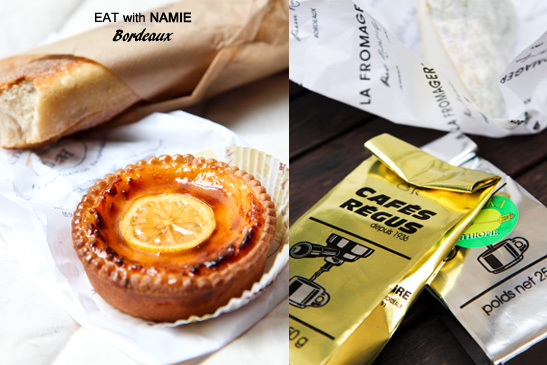 Because I know I won’t have much time to blog once I get back to Istanbul, I’m busily going over my Bordeaux albums to select photos to write about, and I’ve decided that I can’t leave Bordeaux without mentioning my favourite spots for food shopping. We tent to take for granted the things that are around us all the time, bread for example. I buy it everyday, twice a day. Now that I know the best bakeries to buy bread, I can go straight to each one for morning bread and baguette for lunch and dinner. I feel so good when I taste good bread. 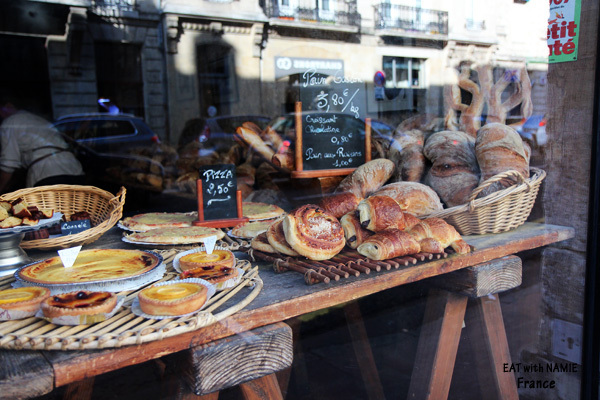 When I first came to Bordeaux, I tried every single boulangerie all around the town, even out of the town; it’s my obsession and my way of analysing and processing the impression about the town as I consider that the quality of bread reflects the culture of the town I visit. Simply put, I just love towns that have good bread and don’t go back if it has bad bread. 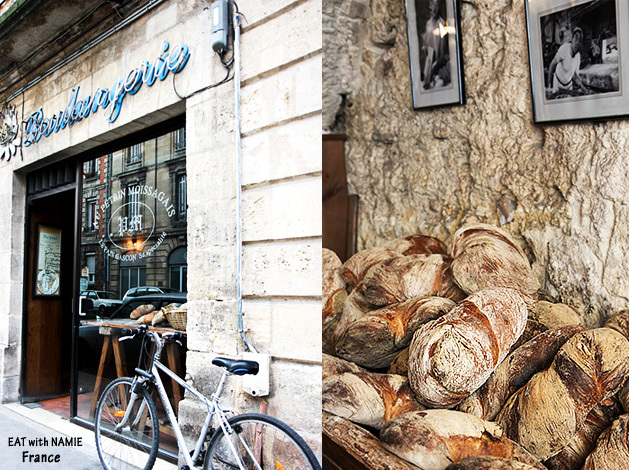 There are 4 boulangries in the city that I often buy bread from, and one of them is Au Petrin Moissagais, in Chartrons, which has been baking for over a half decade in a traditional way in the stone oven built in the 18th century. The quality and taste of bread is so true to the original ancient bread recipe, using real levain, sourdough and slow baking. Their croissants and tarts are exceptionally unique as well. 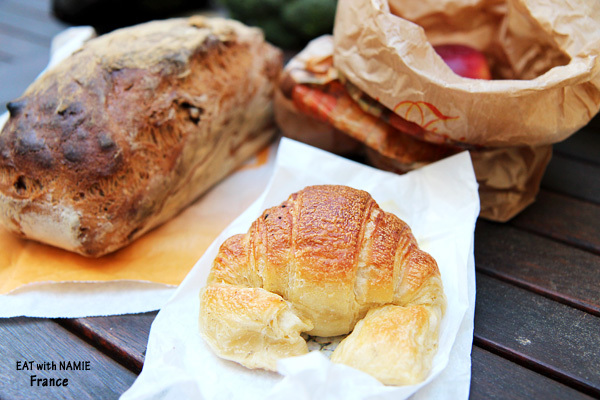 I don’t like the modern form of croissant, over-buttered and flaky. Their croissants have harder texture and are less buttery with slight saltiness, more like the Austrian style, which I believe is more traditional in the history of bread. 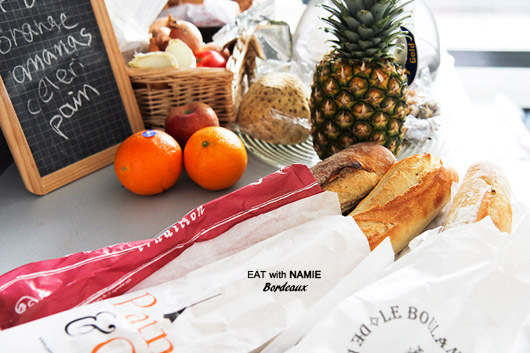 The other boulangerie worth mentioning is Le Boulanger de Hotel de Ville, where you can get a variety of bread as well as amazing baguette, which I’ve become addicted to. 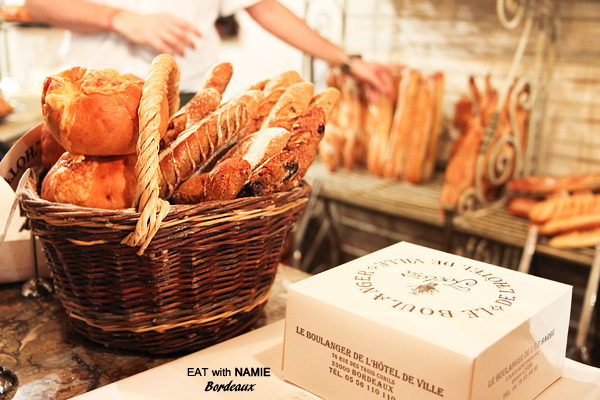 As this boulangerie is at the heart of the city centre, it’s easier to get to at the moment. 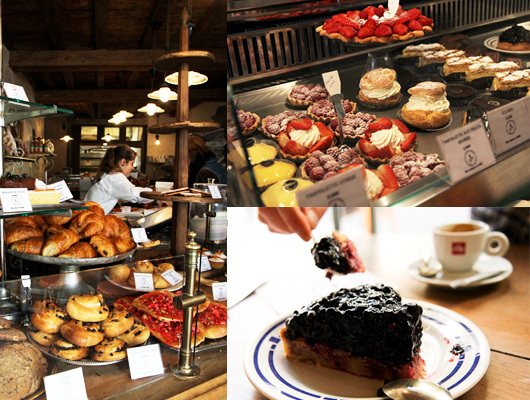 The boulangerie is a Lyonnaise style with the emphasis of freshness and all their desserts are so light, not overly sugared, without any excessive icing and glaze. One of my favourite desserts is Myrtille Tart, which is so irresistibly delicious that I eat almost everyday as an afternoon coffee treat. By the way, Myrtille is a kind of blueberry but is smaller and more sour. The size of the tart is big enough for two people but for one gourmand. The chocolate royal is also deliciously decadent and the coffee is also good and the staff are super friendly. 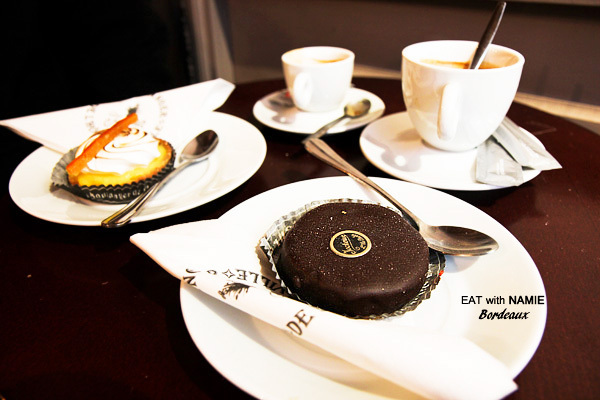 Chartrons, along Cours Portal, is a good place for gourmets as good quality chocolatier, cafes, gourmet shops and fromagerie are concentrated in the area including the best coffee roastery, Cafes Regus, and cheese shop, which is across from the roastery. 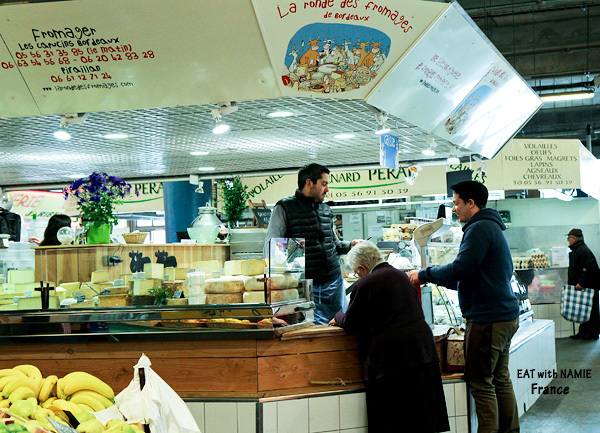 Of course, you will come across many cheese shops, however, this fromagerie in Capucins Market carry some rare cheeses from all over France that taste special and you won’t find in normal cheese shops. 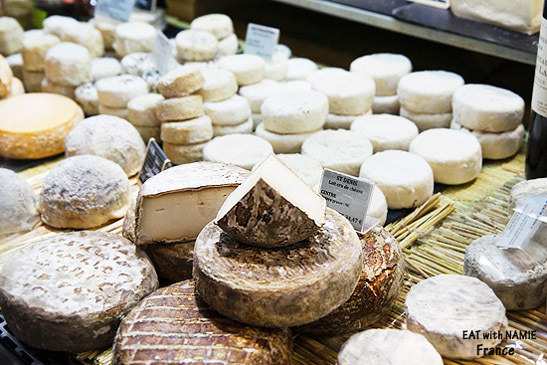 Especially, the raw goat cheese named, St.Denis, is the one you must try. Unfortunately, I didn’t have the chance to taste it again on this trip because it’s not the right time for that, but I hope I can next time. I’ve so far tasted about half of their items so I will do the other half on the next trip back to Bordeaux. I like breads, but I love the French pastries more! I could just eat your photos of the tarts and other pastries!